If I had to estimate, I would say I’ve probably eaten about 20,000 Pop Tarts in my lifetime, and that’s just a rough estimate. For all I know, the number could be closer to 30,000, considering that there were times during both my adolescence and college years that I practically lived on Vanilla Pop Tarts. 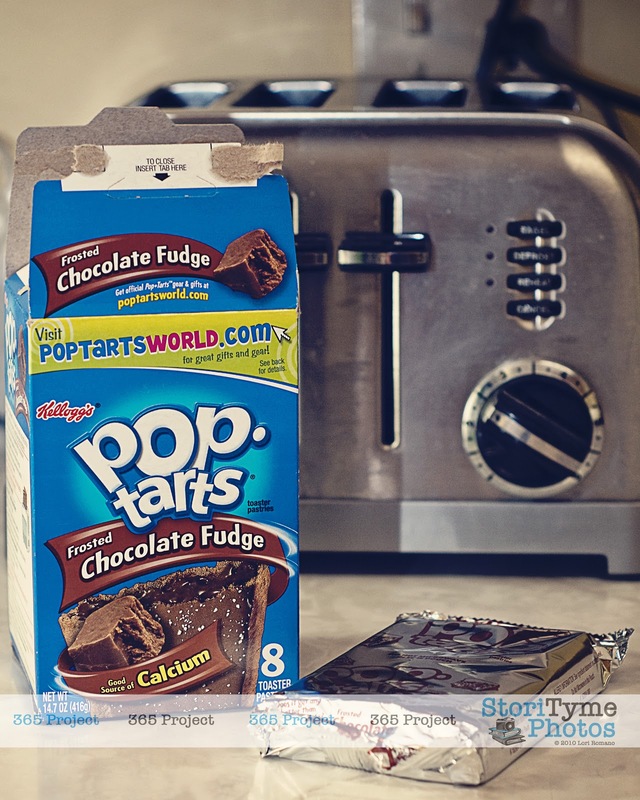 I would say that Chocolate Pop Tarts are my favorite, but it’s really a toss up between Chocolate and Vanilla. I just can’t seem to find Vanilla Pop Tarts anymore though. Every time I go grocery shopping, I look for them, and every time, I’m disappointed. Steven loves Chocolate Pop Tarts as much as I do–just another check on the list of things I love about him. 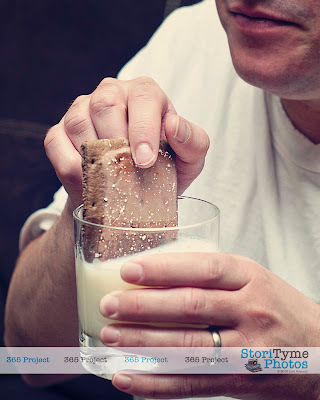 He’s got a habit of dipping them in a glass of milk though, like a cookie, and it sort of grosses me out. I love milk, and I love Pop Tarts, but there’s just something about eating a Pop Tart drenched in milk that is slightly unappealing. 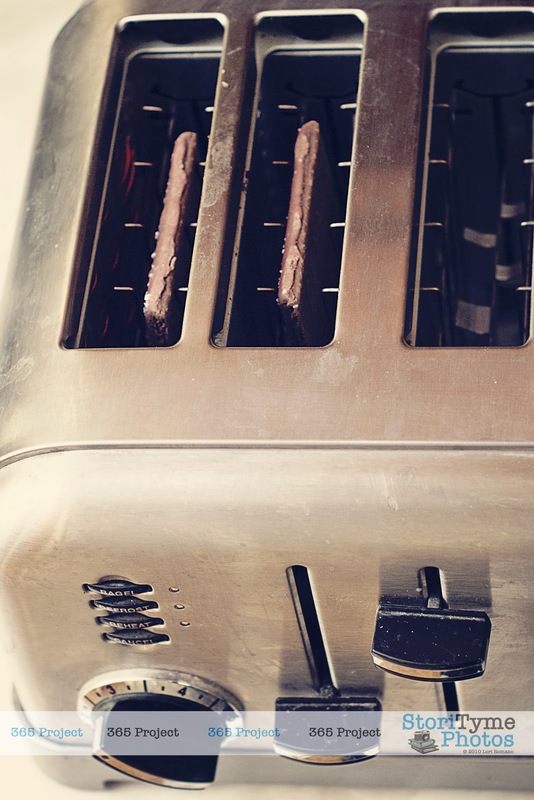 I prefer to eat my Pop Tarts lightly toasted–just enough so the edges are crispy and the chocolate inside is warm and gooey–washing them down with a cold glass of milk. 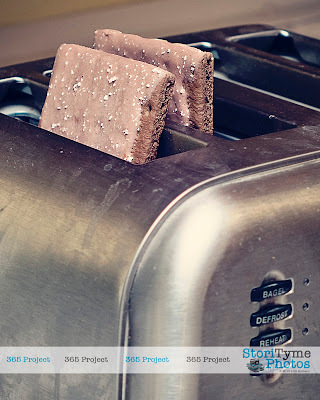 The only other flavors worth eating, in my opinion, are Brown Sugar Cinnamon and the occassional Strawberry Frosted. You can keep the other flavors. Wild Berry? Hot Fudge Sundae? Chocolate Chip Cookie Dough? No thank you, ma’am. 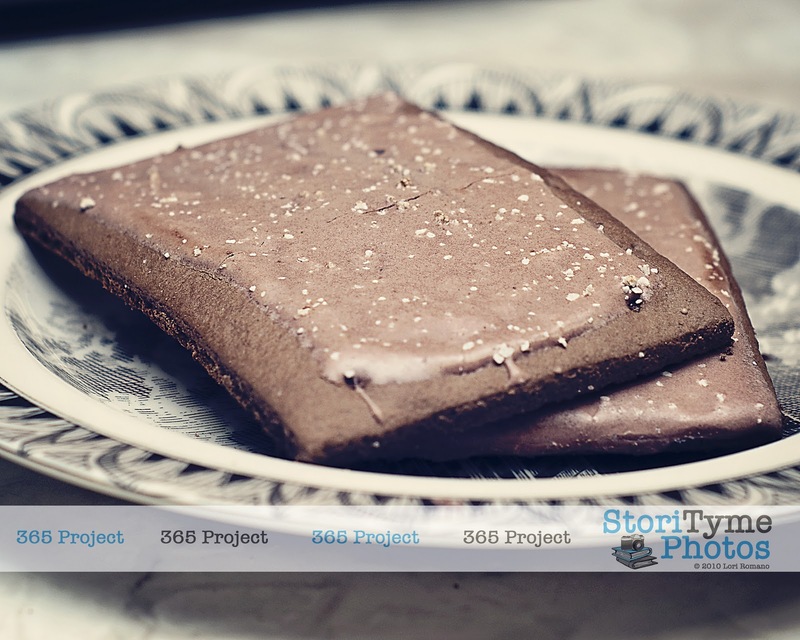 Tonight’s 365 Project entry is dedicted to Pop Tarts, that delicious anytime snack. 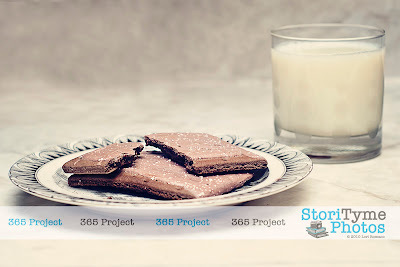 Here’s to the next 20 or 30,000.